I joined Al Jazeera English’s Inside Story on Thursday to discuss whether the US will begin pulling away from Saudi Arabia over the Saudi-led military intervention in Yemen’s civil war. 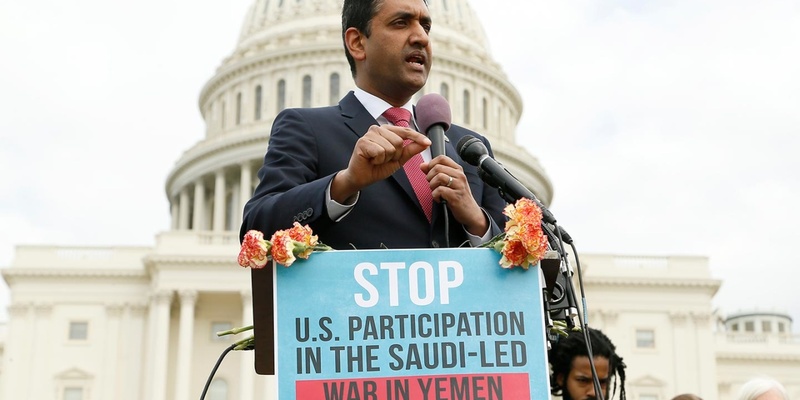 We discuss the US Congress’s bill which would halt US support for Riyadh, instrumental in Saudi and UAE operations since March 2015 that have contributed to the killing of thousands of civilians and threatened millions with shortages of food, medical supplies, and other goods. Can the measure get past Donald Trump? Is there a wider push to suspend the US-Saudi alliance, following the murder of journalist Jamal Khashoggi, even though the Trump Administration needs Saudi Arabia for its regime change campaign against Iran? And what is the stake of Iran, as well as Riyadh and the UAE, in Yemen as a “deadly playground” for regional influence? The other panellists are Adam Baron, the Yemen specialist of the European Council on Foreign Relations, and political commentator Catherine Shakdam. PreviousPolitical WorldView Podcast: A Political Endgame in Venezuela?